For other people named David Marks, see David Marks (disambiguation). 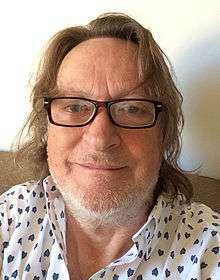 David Francis Marks (born 1945) is a psychologist, author and editor of twenty-five books largely concerned with four areas of psychological research – health psychology, consciousness, parapsychology and intelligence. He has also published books about artists and their works. Marks was born February 12, 1945 in Liphook, Hampshire, England to Victor W.F. Marks and Mary Dorothy (née Goodman) Marks. Marks earned a BSc at University of Reading in 1966 and a PhD at University of Sheffield in 1970. From there, he moved to New Zealand where he taught at the University of Otago as senior lecturer in psychology. He returned to the UK as Head of the School of Psychology at Middlesex University before working at City University London from 2000–10. He founded and edits the Journal of Health Psychology and Health Psychology Open, an open access journal. His late brother Jon Marks was a jazz musician. He has two children. His daughter, Jessica Marks, is a chef working internationally. His son, Michael Marks, is a teacher in Dagenham, East London. In his work on health psychology Marks advocates a greater understanding of the socio-political context affecting individual behaviour (Marks et al., 2005). With Michael Murray and colleagues he has actively promoted a critical-theoretical approach, including the foundation of the International Society of Critical Health Psychology. This organisation has included the consideration of social justice, community approaches, and arts projects for the reduction of health inequalities. Marks has also been interested in new research methods for clinical psychology and health psychology (Marks & Yardley, 2004). Marks has promoted the use of cognitive behaviour therapy as an effective clinical approach to smoking cessation. This research began in New Zealand with Paul Sulzberger where they developed the Isis Smoking Cessation Programme (Sulzberger & Marks, 1977). After returning to England in 1986 Marks developed a UK version of the programme which was originally published by the British Psychological Society in 1993 as The QUIT FOR LIFE Programme (Marks 1993, 2005). The approach was developed further and re-published in the Overcoming series by Robinson as "Overcoming Your Smoking Habit" (Marks 2005). Conceptualizing methods for the design, description and evaluation of interventions has been a complex challenge for the discipline of Psychology. Marks (2009) published a Taxonomic system for psychological interventions. In 2015, Marks published a new theoretical explanation of obesity based on the concept of homeostasis, a property of all living things (Marks, 2015). Physiological homeostasis maintains equilibrium at set-points using feedback loops for optimum functioning of the organism. Long-term imbalances in homeostasis arise though genetic, environmental or biopsychosocial mechanisms causing illness and/or loss of well-being. Psychological homeostasis works in a similar fashion to maintain stability in emotion and behaviour. However, rapid environmental and economic changes generate challenging conditions for the human organism. Over-consumption of high-caloric, low-nutrient foods, combined with stressful living and working conditions, have caused imbalances in homeostasis, overweight and obesity in more than two billion people. The Homeostasis Theory of Obesity was further elaborated in his 2016 book, "Obesity. Comfort vs. Discontent" (Marks, 2016). The book's dedication states: "To the two-point-one billion people who are overweight or living with obesity. Please take note. It is not your fault. You are not to blame. You are the victims. Be informed, be empowered, and, above all else, resist. This book is for you." (Marks, 2016). According to this new theory, homeostatic imbalance includes the 'Circle of Discontent', a system of feedback loops linking weight gain, body dissatisfaction, negative affect and over-consumption. The theory is consistent with an extensive evidence-base of cross-sectional and prospective studies. A four-armed strategy to halt the obesity epidemic consists of: (1) Putting a stop to victim-blaming, stigma and discrimination; (2) Devalorizing the thin-ideal; (3) Reducing consumption of energy-dense, low nutrient foods and drinks; (4) Improving access to plant-based diets. If fully implemented, interventions designed to restore homeostasis would halt the obesity epidemic. Marks' research into consciousness and mental imagery led to the development of the Vividness of Visual Imagery Questionnaire, a tool for the assessment of individual differences in visual imagery. Marks (1973) reported that high vividness scores correlate with the accuracy of recall of coloured photographs. In 1995 he published a new version of the VVIQ, the VVIQ2. This questionnaire consists of twice the number of items and reverses the rating scale so that higher scores reflect higher vividness. The VVIQ and VVIQ2 are available on the Internet: http://www.art-n-stuff.com/news/ The VVIQ has been validated in about 1000 studies using perceptual and cognitive tasks. Rodway, Gillies and Schepman (2006) found that high vividness participants were significantly more accurate at detecting salient changes to pictures compared to low vividness participants, replicating an earlier study by Gur and Hilgard (1975). Recently Cui et al. (2007) found that reported image vividness correlates with increased activity in the visual cortex. This study shows that the subjective experience of forming a mental image is reflected by increased visual cortical activity.Logie, Pernet, Buonocore and Della Sala (2011) used behavioural and fMRI data for mental rotation from individuals reporting vivid and poor imagery on the VVIQ. Groups differed in brain activation patterns suggesting that the groups performed the same tasks in different ways. These findings help to explain the lack of association previously reported between VVIQ scores and mental rotation performance. Lee, Kravitz and Baker (2012) used fMRI and multi-voxel pattern analysis to investigate the specificity, distribution, and similarity of information for individual seen and imagined objects. Participants either viewed or imagined individual named object images on which they had been trained prior to the scan. Correlation between fMRI and VVIQ scores showed that, in both object-selective and early visual cortex, Lee et al. 's (2012) measure of discrimination across imagery and perception correlated with the vividness of imagery. In his work on parapsychology, Marks adopts a sceptical analysis of paranormal claims. He published evidence in Nature that the original claims of remote viewing experiments were based on flawed experimental procedures. Marks also published evidence in The Psychology of the Psychic (1980, 2nd edn. 2000; co-authored with the late Richard Kammann; forewords to both editions by Martin Gardner) that Uri Geller was able to hoodwink scientists, journalists and the many members of the public with a series of simple but audacious sleights of hand. In that book, which investigates anomalistic psychology and describes case studies of paranormal claims together with a set of principles for explaining how people may come to believe so strongly in the paranormal claims. This includes the concept of subjective validation, a process through which people find a correspondence between randomly paired events, including coincidences (Marks, 2000). In 1986, while working in New Zealand with the late Denis Dutton, Marks co-founded the NZ Skeptics. He is a fellow of the Committee for Skeptical Inquiry (CSI). In 2010, David Marks systematically analysed the association between literacy skills and IQ across time, nationality, and race. Marks (2010) published a sceptical theory of IQ score variations explaining both the Flynn effect and the alleged racial variations in IQ as an artefact (error) stemming from uncontrolled literacy differences. Marks (2010) hypothesized that IQ differences across time, race and nationality are all caused by differences in literacy because intelligence test performance requires literacy skills not present in all people to the same extent. In eight different analyses mean full scale IQ and literacy scores yielded correlations ranging from .79 to .99. Kaufmann (2010) explained the significance of Marks' study as follows. If increasing literacy were really explaining a number of seemingly different IQ trends, then you would expect to see a few different phenomena. First, within a population you should expect increased education of literacy skills to be associated with an increase in the average IQ of that population. Second, IQ gains should be most pronounced in the lower half of the IQ bell curve since this is the section of the population that prior to the education would have obtained relatively lower scores due to their inability to comprehend the intelligence test's instructions. With increased literacy, you should expect to see a change in the skewness of the IQ distribution from positive to negative as a result of higher rates of literacy in the lower half of the IQ distribution (but very little change in the top half of the distribution). You should also expect to see differences on the particular intelligence test subscales, with increased literacy showing the strongest effects on verbal tests of intelligence and minimal differences on other tests of intelligence. If all these predictions hold up, there would be support for the notion that secular IQ gains and race differences are not different phenomena but have a common origin in literacy. Kaufman described how Marks tested these predictions by looking at samples representative of whole populations (rather than individuals), and used ecological methods to compute statistical associations between IQ and literacy rates across different countries. Kaufman's (2010) review suggested that Marks' findings were completely consistent with the predictions: (i) The higher the literacy rate of a population, the higher that population's mean IQ, and the higher that population's mean IQ, the higher the literacy rate of that population. (ii) When literacy rates declined, mean IQ also declined, a reversed Flynn Effect. (iii) Unequal improvements occurred across the entire IQ spectrum with the greatest increases in the lower half of the IQ distribution. Interestingly, Kaufman pointed out that the evidence suggested that both the Flynn Effect and racial/national IQ differences showed the largest effects of literacy on verbal tests of intelligence, with the perceptual tests of intelligence showing no consistent pattern. The alleged association between race and intelligence and also the Flynn effect both have a similar explanation: literacy differences across race and across time are, Marks believes, the cause of both. Racial IQ differences are converging as the literacy skills within two populations become more equal. Thus racial differences have an environmental cause, just like the Flynn effect. Essentially, both the Flynn effect and racial differences in measured IQ are artefacts of literacy differences. As the literacy of Western populations declines, as appears to be the case currently, then Marks' literacy theory of IQ scores predicts that average IQ test scores is expected to decline, and the Flynn effect will go into reverse, which is exactly what recent studies have found. 1 2 3 4 5 6 7 "David (Francis) Marks". Contemporary Authors Online. Detroit: Gale (MLA 7th Edition). August 15, 2002. ↑ Lee, S-H.; Kravitz, D.J. ; Baker, C.I. (February 15, 2012). "Disentangling visual imagery and perception of real-world objects". NeuroImage. 59 (4): 4064–4073. doi:10.1016/j.neuroimage.2011.10.055. PMID 22040738. ↑ Gur, R.C. ; Hilgard, E.R. (1975). "Visual Imagery and Discrimination of Differences Between Altered Pictures Simultaneously and Successively Presented". British Journal of Psychology. 66 (3): 341–345. doi:10.1111/j.2044-8295.1975.tb01470.x. Retrieved 28 October 2015. ↑ Rodway, Paul; Gillies, Karen; Schepman, Astrid (2006). "Vivid imagers are better at detecting salient changes". Journal of Individual Differences. 27 (4): 218–228. doi:10.1027/1614-0001.27.4.218. Retrieved 28 October 2015. ↑ "CSI Fellows and Staff". Skeptical Inquirer. ↑ Kaufman, Scott Barry (August 23, 2010). "The Flynn Effect and IQ Disparities Among Races, Ethnicities, and Nations: Are There Common Links?". Psychology Today. Sussex Publishers, LLC. Retrieved 28 October 2015. ↑ Marks, David F. (May 2016). Obesity Comfort vs. Discontent. Yin and Yang Books. ISBN 9781532762963. Retrieved 21 July 2016. ↑ Marks, David F.; Murray, Michael; Evans, Brian; Estacio, Emee Vida (December 2015). Health Psychology: Theory, Research and Practice. Sage Publications. ISBN 978-1-446-29507-6. Retrieved 28 October 2015. ↑ Marks, David F. (2009). Reussir a surmonter le Reflex cigarette. Paris: InterEditions-Dunod. ISBN 978-2-72960-979-5. ↑ Marks, David F. (January 13, 2005). Overcoming Your Smoking Habit: A Self-Help Guide Using Cognitive Behavioral Techniques. London: Robinson Publishing. ISBN 978-1-845-29067-2. Retrieved 28 October 2015. ↑ Marks, David F.; Yardley, Lucy (2004). Research Methods for Clinical and Health Psychology. London: Sage Publications. ISBN 978-0-761-97191-7. Retrieved 28 October 2015. ↑ Marks, David, F. (2002). The Health Psychology Reader. London: Sage Publications. ISBN 978-0-761-97271-6. Retrieved 28 October 2015. ↑ Marks, David F.; Sykes, Catherine Marie (May 9, 2000). Dealing with Dementia: Recent European Research. London: Middlesex University Press. ISBN 978-1-898-25332-7. Retrieved 28 October 2015. ↑ Francome, C.; Marks, D.F. (January 1, 1996). Improving the Health of the Nation: The Failure of the Government's Health Reforms. London: Middlesex University Press. ISBN 978-1-898-25305-1. Retrieved 28 October 2015. ↑ Marks, David F. (April 1993). The Quit for Life Programme: An Easier Way to Quit Smoking and Not Start Again. Leicester: British Psychological Society. ISBN 978-1-854-33150-2. Retrieved 28 October 2015. ↑ Marks, David, F., ed. (1986). Theories of Image Formation. Bronx, N.Y.: Brandon House. ISBN 978-0-913-41218-3. ↑ Marks, David F.; Kammann, Richard (December 1, 2000). The Psychology of the Psychic (2nd ed.). Prometheus Books. ISBN 978-1-573-92798-7. Retrieved 28 October 2015. ↑ Marks, David F. (January–June 2015). "Homeostatic Theory of Obesity". Health Psychology. 2 (1). doi:10.1177/2055102915590692. Retrieved 28 October 2015. ↑ Marks, David F. (June 2010). "IQ Variations Across Time, Race, and Nationality: An Artifact of Differences in Literacy Skills". Psychological Reports. 106 (3): 643–664. doi:10.2466/pr0.106.3.643-664. PMID 20712152. ↑ Marks, David F. (March 1986). "Investigating the paranormal". Nature. 320 (13): 119–123. ↑ Marks, David F. (February 1973). "Visual imagery differences in the recall of pictures". British Journal of Psychology. 64 (1): 17–24. doi:10.1111/j.2044-8295.1973.tb01322.x. ↑ Marks, David F. (January 1995). "New Directions for Mental Imagery Research". Journal of Mental Imagery. 19: 153–167. Retrieved 28 October 2015. ↑ Marks, David F. (1981). "On the review of The Psychology of the Psychic": A reply to Dr. Morris". Journal of the American Society for Psychical Research. 75: 197–203. ↑ Casswell, Sally; Marks, David F. (February 23, 1973). "Cannabis and Temporal Disintegration in Experienced and Naive Subjects". Science. American Association for the Advancement of Science. 179 (4075): 803–805. doi:10.1126/science.179.4075.803. PMID 4567504. Morris, Robert L. (1980). "Some comments on the assessment of parapsychological studies" [review of the book The Psychology of the psychic] Journal of the American Society for Psychical Research The Society for Psychical Research (SPR), 74, 425–443.